Releasing on January 11, “Uri” also features Yami Gautam, Kirti Kulhari and Paresh Rawal. 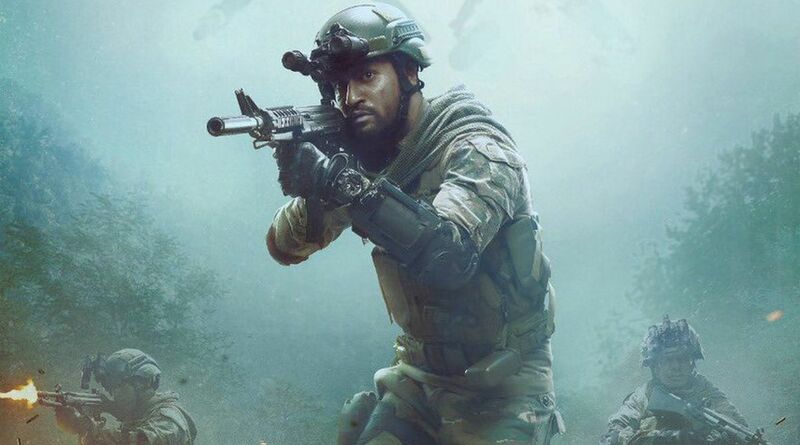 Vicky Kaushal, who is set to give yet another enthralling performance in “Uri”, says the forthcoming film is based on an incident that left a deep impact on every Indian. The film bravely brings back the real life chapter of the surgical strikes of 2016 carried out by the Indian Armed Forces and the actor says that the significant event is something that “we all are proud of”. “When we come to people who are securing us, they can be attacked so mercilessly. When they are sleeping in their tents unarmed, that’s when they got attacked and it’s just an episode where the army took a stand that it won’t be taken down silently. 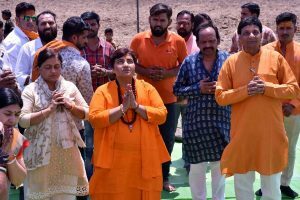 And they did a surgical strike in ten days with official planning and it was the most covertly performed operations and at the same time it’s something we all are proud of,” Vicky told IANS in an email interview. “Even the youth knows what happened, so do the elders. It just happened two years back and we all saw it on TVs or read it in newspapers and we were affected by it. This film just shows what happened behind the closed doors and how it all happened, how it all took place, all teams came together and all of that. That’s ‘Uri’ for you,” he added. The film’s trailer has been received well not just by critics but also by some of the political parties. To that, Vicky said: “See, the thing is that any film that is made, it is made for the audience. It’s not for any political party. It’s just for the audience. “If political parties are watching it from the audience’s point of view, it’s maybe their reaction as an audience. We are thinking political parties are reacting, but they are also an audience. Aditya Dhar, the director and writer of the film, is very passionate about army, and he has made this film as a tribute to the army and nobody else. “India and Pakistan have always been conflicting entities and we really hope that citizens of both countries hope for better future and better brotherhood among the countries. Vicky, who has been a part of projects like “Masaan”, “Raazi” and “Sanju”, is also part of season two of Quaker’s “Kitchen Khanna and Konversations” on Hotstar. Hosted by chef Vikas Khanna, the web series will also see the likes of Bhumi Pednekar and Raiza Wilson in a cookout with the celebrity chef. The show will drive the message that oats are not boring and can be a great way to add nutrition to everyday foods. Being a part of the industry that focuses on staying fit, what according to Vicky is the true meaning of fitness? “I feel eating good food, resting well and staying happy is the true meaning of fitness. I also feel it has got to do a lot with how you are feeling. It’s just not food, it’s everything. How you are feeling emotionally also reflects on your health. When it comes to food, I feel it’s eating right. “Be very strict about your plan, whether you can have only healthy foods or not. You can have your indulgences as long you keep monitoring it,” he said. As an actor, he feels fitness is extremely important. “My body is my medium to communicate with my audience, so if that is not functioning well, I can’t communicate with the audience. A lot depends how the actor is feeling in terms of health on set.